The Country Handmaiden: Back Again! I am officially back, only so I can say that I will officially be away again. :) Golly, this last year of school has taken up so much of my time that Blogger, Pinterest, and Etsy have been terribly neglected. It's been all I can do to simply ship orders out as they come in! I think you keep your blog up remarkably well! I wish I posted as frequently as you did. Seven Brides for Seven Brothers!!! AHHH!!! SUCH a great movie! All the dancing blows my mind. God Bless and Happy Thanksgiving!! 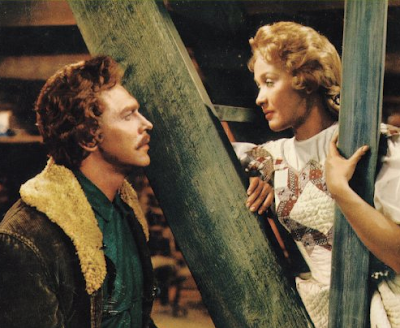 Seven Brides for Seven Brothers is one of my favorite too! I cannot tell you how many times I have watched that movie. : ) In fact, my fiance's name is Adam Pilbeam, which always makes me think of Adam Pontipee. I will look forward to your Beatrix Potter post! I love Seven Brides for Seven Brothers. And my favorite scene is the barn dance, too. :) I told my cousins about it and they loved it. They had never seen it ... surprising, because they usually recommend movies to me. OH! 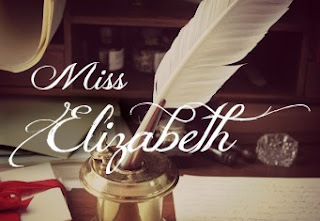 And if you are wondering why I have not been posting on my blog A Thing of Beauty (a.k.a. Miss Emma Woodhouse) I am in the middle of writing like crazy. Just to inform you of it. LOL! 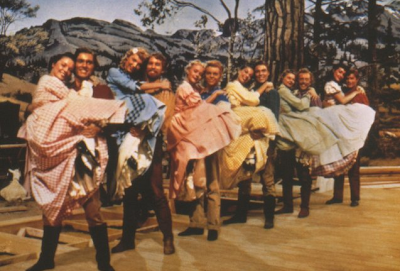 I really like Seven Brides for Seven Brothers too....I think it is hilarious! Also, I really like the first song on your MixPod; it is one of my favorite 18th century country dances. Seven Brides for Seven Brothers is such a fun movie. I am a sucker for musicals. :D Have you ever seen the Happiest Millionaire? It's really cute. I also wanted to say that your last post about Etsy was really good. I love the doll cloths you make! They are so adorable. I've toyed with the idea of starting an Etsy shop with some of my sisters and what you said gave me some food for thought. Welcome back, sweet dear. This autumn has been a busy one on our end, too - mostly "good busy" though, so I really can't complain in the slightest. It's been an age and a half since I last saw this wonderful vintage film (I'm seriously thinking I was nine or ten the last time - certainly prior to my teen years). I recall thoroughly enjoying it and am definitely going to see if Netflix Canada has it (Netflix up here only has a fraction of the movies that those in the States get to see, but you never know, especially with classics like this one). Thank you very much for your immensely nice comment on my Thanksgiving Day outfit post. It means a lot to me, and I hope from the bottom of my heart that you and your loved ones have a beautiful Thanksgiving, too.